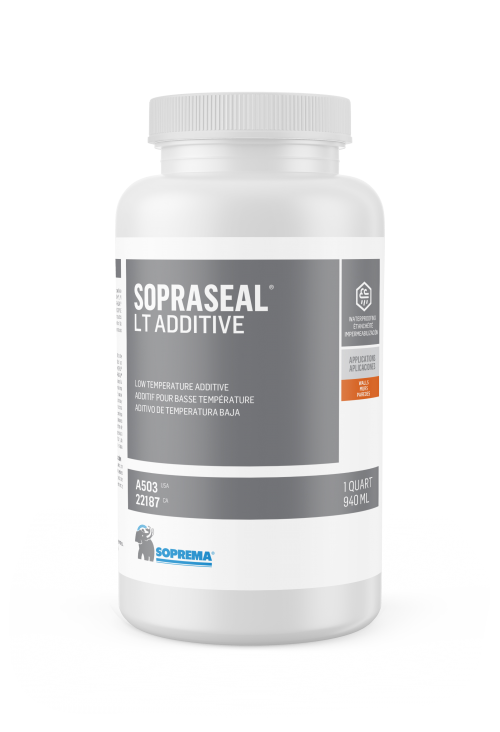 Single component, liquid product made from modified rubber. 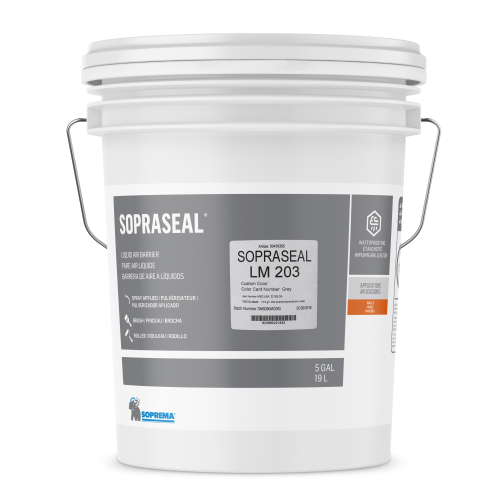 SOPRASEAL LM 203 is used as an air/vapour barrier and provides moisture protection behind wall claddings including brick, siding, metal panels, EIFS and stucco. 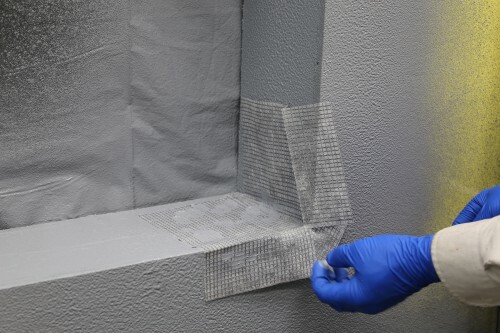 Reinforced nonwoven polyester fabric design to install at opening corners. 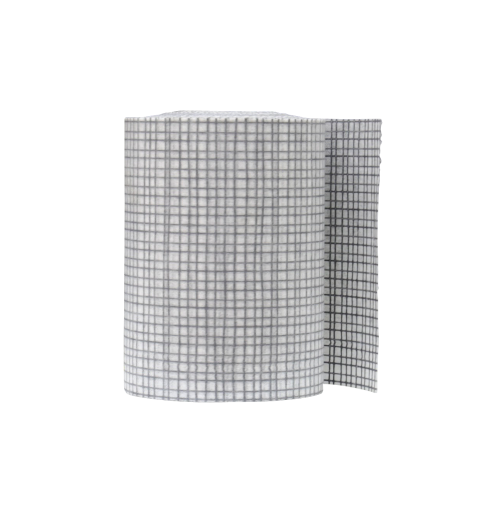 Reinforced nonwoven polyester fabric design to install at joints, openings and details.